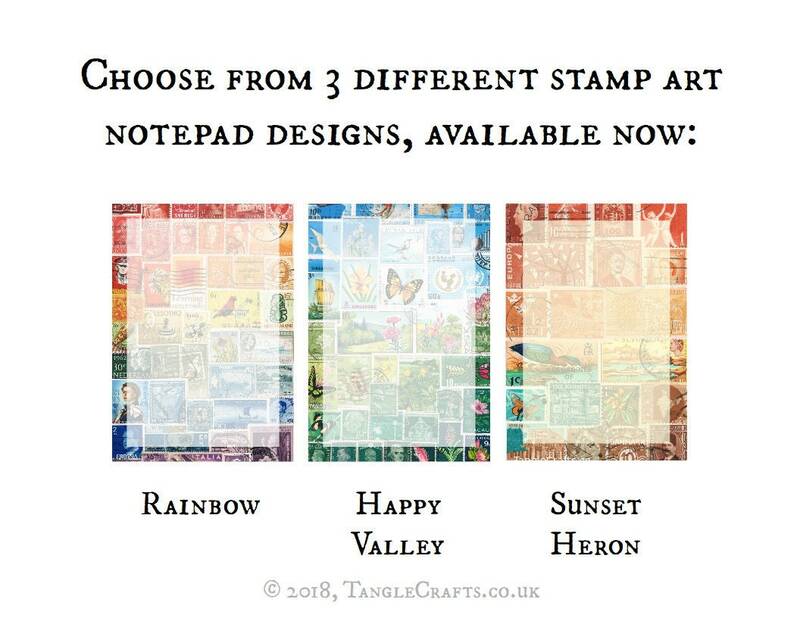 Each notepaper pad has 50 tear-off sheets, all printed with the same design: one pad each of Rainbow, Sunset Heron, and Happy Valley. 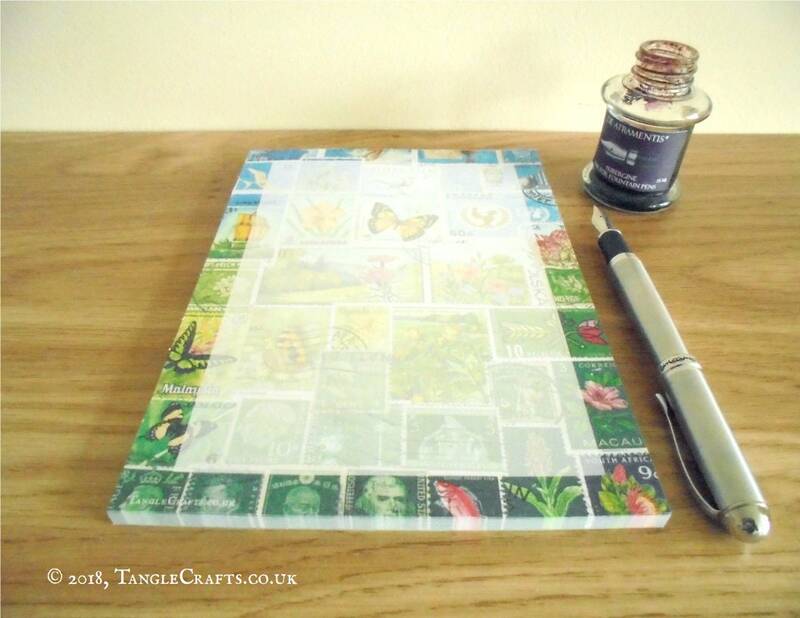 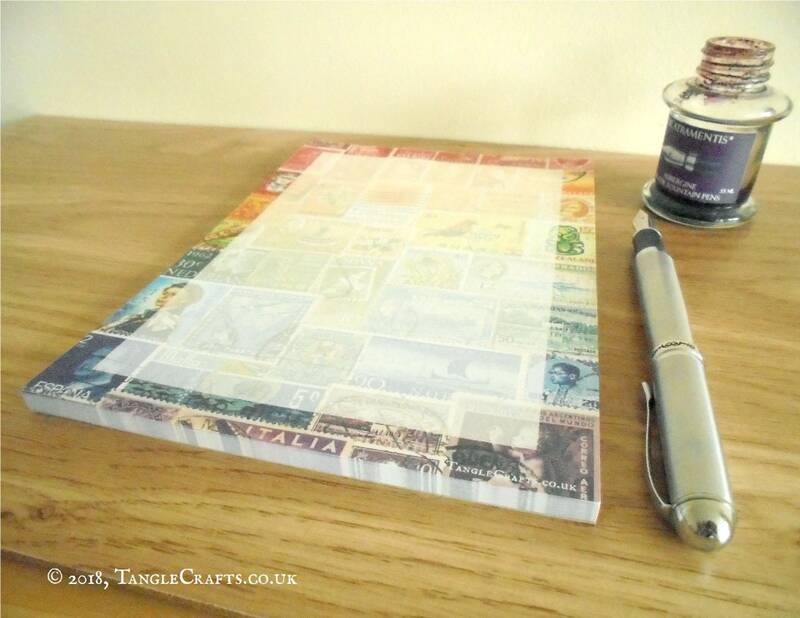 The perfect opportunity to stock up on postal-themed stationery for prolific long letter writers, but these versatile notepads are equally handy to use as a desk jotter for the bohemian home office, or even just for scrawling a quick message to pin on the fridge! 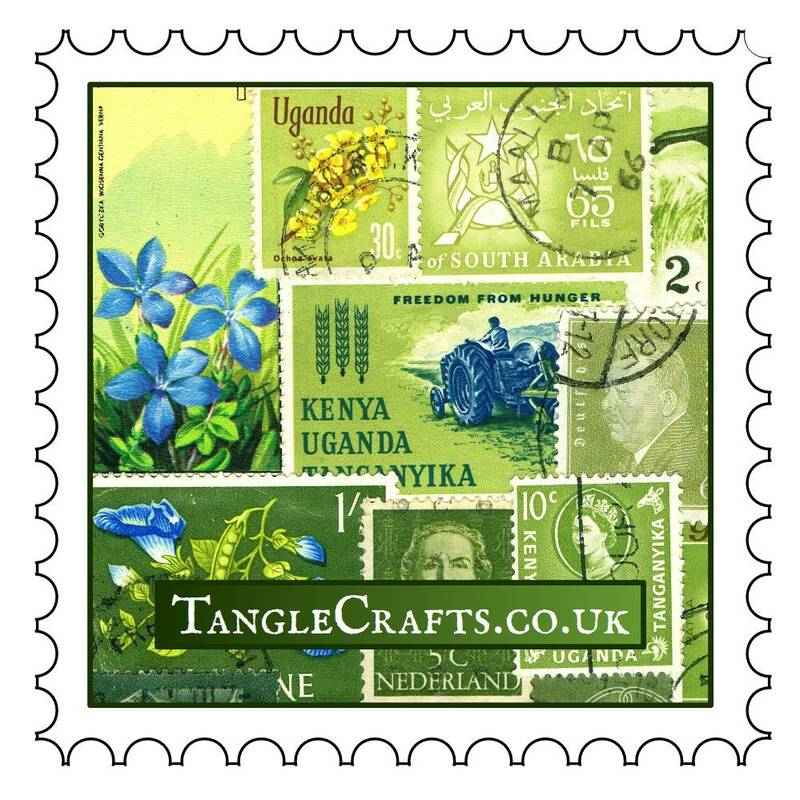 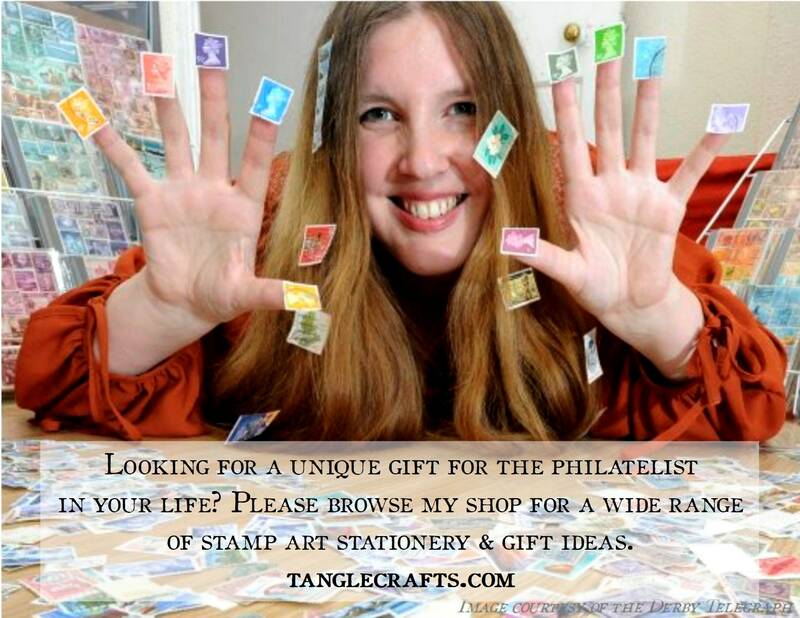 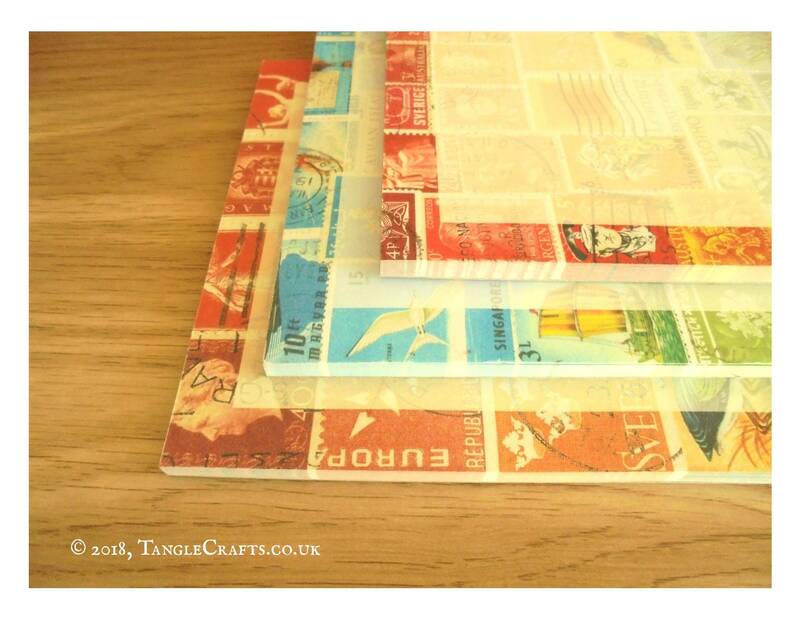 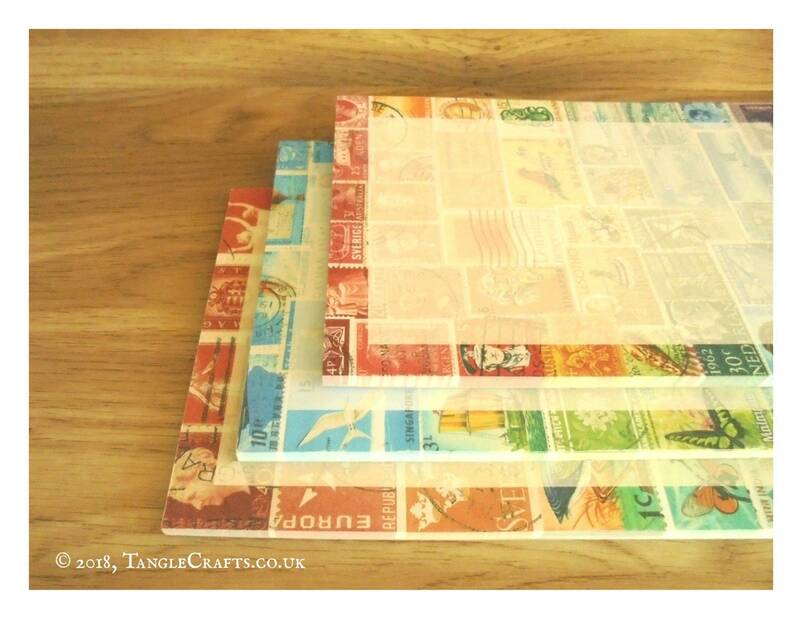 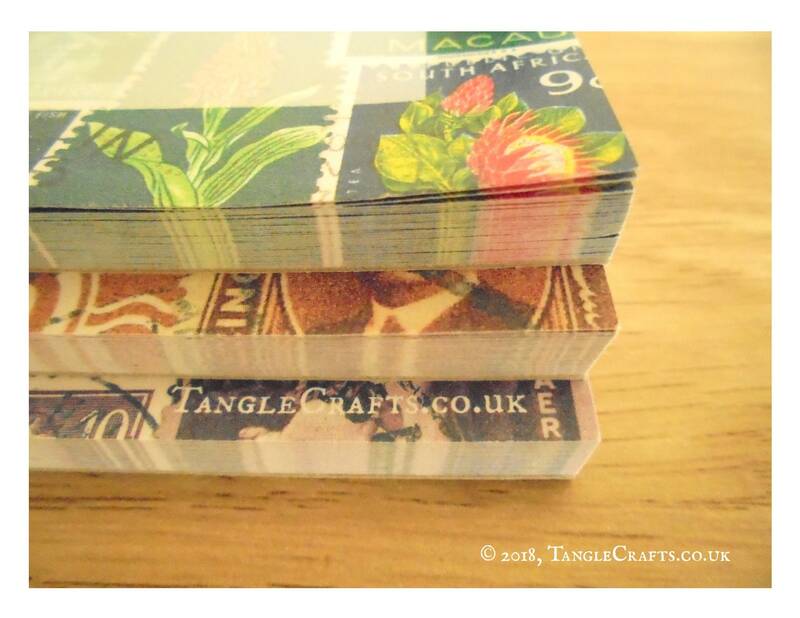 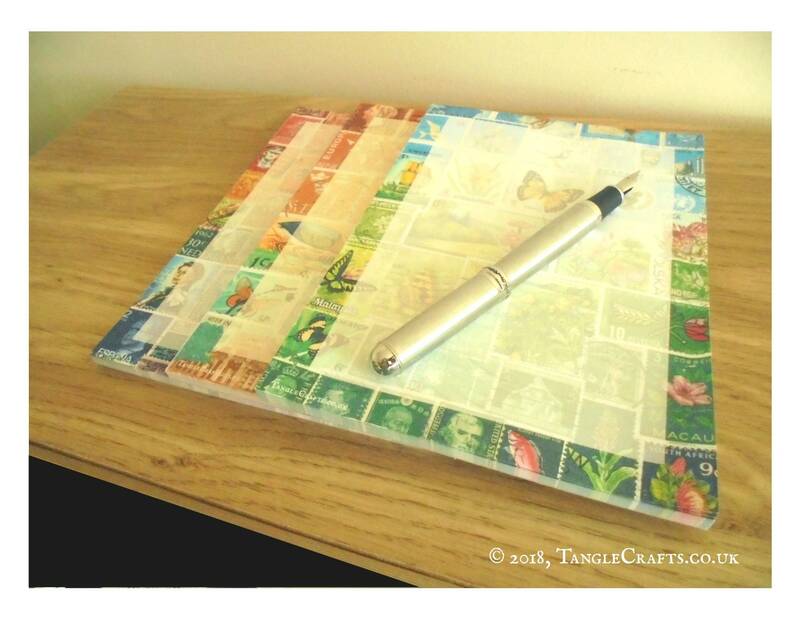 The designs have been reproduced from my original collages of vintage postage stamps from around the world. 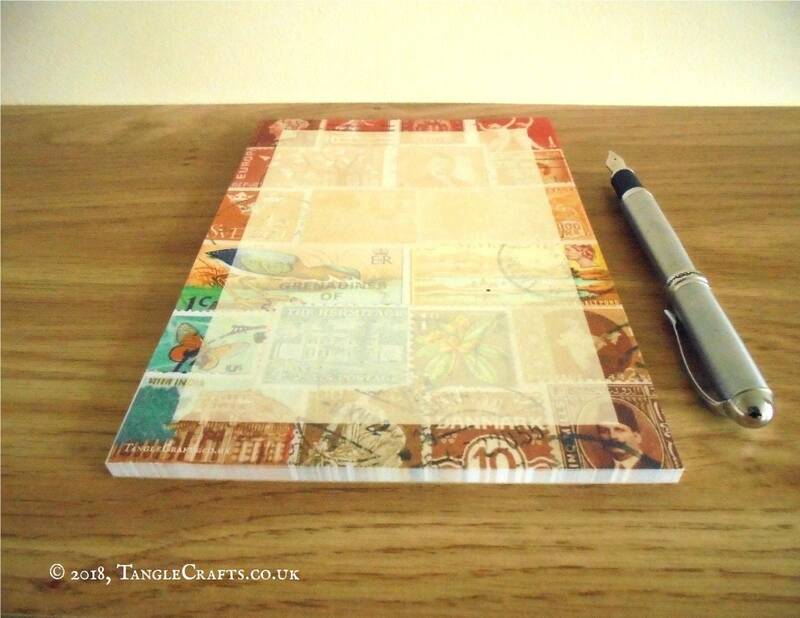 The design area covers the full surface of each A5 sheet but fades into the background of the main writing space so that your words are easily legible (reverse is plain white).